For instance Annette Messager’s recent exhibition in Sydney was a fabulous experience – click here. That was an exhibition that triggered responses and a return to see it again. Somehow my life of exhibitions in the last decades has included many of the former types – those that left me cold. Most of the time for this form of exhibition it has also been very hard to read something written that is objective. Many visual arts pieces within our hard copy and online newspapers and magazines consist of rewritten media releases or maybe some easy-going description of the works without any real critique. The works of Richard Tuttle have come into my view at odd times in my life. His work has fallen into that category as mentioned above. I have always been interested but many doubts have remained me after any visit to an exhibition that included his works. I was therefore interested to see a senior reviewer express some doubts about the impact of a recent set of works by Richard Tuttle in London. It was refreshing to see this honest review of the works at the two venues across London. While the reviewer expressed doubts, it still was positive enough for anyone interested in visual arts to make the effort to go have a look for yourself. 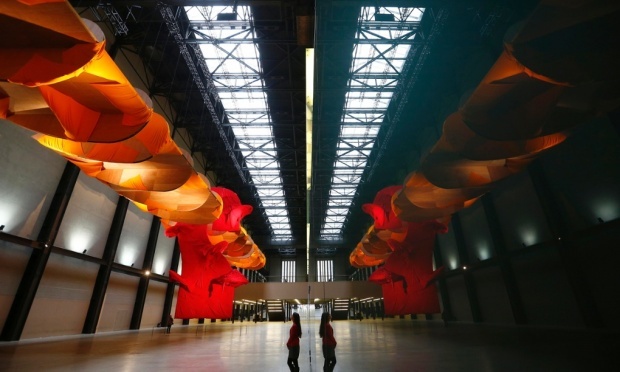 The motivation is backed by the fact that any exhibition within the Tate Modern’s Turbine Hall is always fun to see. And the Whitechapel Gallery is likewise a place to always visit anytime you are in London. So while I compliment the reviewer of Richard Tuttle ‘s exhibitions, any further comment on the works will have to wait till I make a visit to these galleries sometime soon. For more on the exhibition at the Tate – click here. For the link to the Whitechapel Gallery – click here. 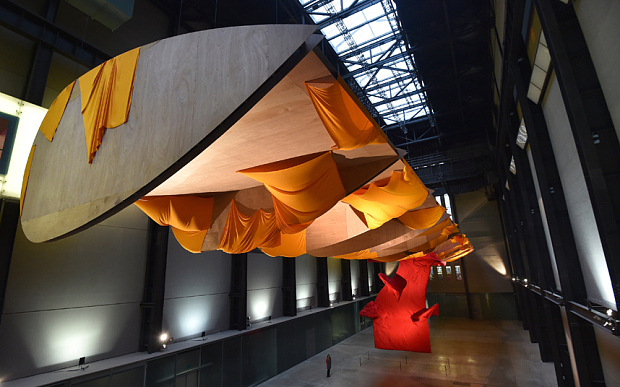 and for the review of Richard Tuttle’s work in The Guardian – click here.